Lawyers Can’t Follow Their Bliss … Can They? We’ve all heard the expression, “Follow your bliss” when it comes to career direction. But is that phrase applicable to lawyers? You may be surprised. Today we welcome to the blog Matthew Litt, founder of Lincolnesq – Career Counseling for the Bottom 90% of the Class. He’s here to share a few thoughts on whether attorneys can achieve true career happiness. Welcome, Matthew. Of course, lawyers cannot follow their bliss. What a ridiculous notion. I’m surprised you didn’t know better. Lawyers don’t follow their bliss. Lawyers don’t even have bliss. They had better not. And if they do, they better work harder and longer until it’s crushed, or at least sufficiently suppressed. I’m sure I had heard the phrase follow your bliss or words to that effect years ago, but I never thought twice about it. Surely the phrase and its quixotic concept did not apply to attorneys. It was for musicians and yoga instructors and a small handful of food truck entrepreneurs. Lawyers and pre-lawyers are conditioned early on that the practice of law will require arduous and gratuitous sacrifice. Not merely hard work, but hard work without a commensurate perceptible justification or return. I’ve never met an attorney who believes that three years of law school is necessary to practice law, but we endure it because that’s what is required if you want to take the bar exam. I’ve never met an attorney who considers the bar exam anything but a needless and artificial barrier to entry, but we all suffer through two months of studying, two to three days of the exam and four months of waiting for the results because that is what’s required if you want become an attorney. The same principles guide us through our initial law firm years as many of us work unreasonable hours because – that’s just what new lawyers do. We overcome the profession’s academic and professional barriers and inefficiencies and collect each surmounted obstacle as a badge of honor. It’s one of the things that bind us as lawyers; we commiserate with each other about how problematic and ineffective the profession is. And so we tolerate and endure and persevere, because that’s what lawyers do. We’re not supposed to be blissful, we’re supposed to be busy and cheerless. We forego daylight, we forego decent nights’ sleep, we forego our children’s Little League games. Why? Because that’s what lawyers must do. It took me years before I understood that following our bliss is exactly what lawyers need, not what we should be stifling. I was thinking about the statement all wrong. I thought it was just a capricious notion akin to life’s too short or reach for the stars – nice concepts to be sure, but largely useless and without practical application. It turns out follow your bliss isn’t whimsical at all, it’s entirely pragmatic. It’s not a bumper sticker, it’s valuable instruction. Career Services had it all wrong. Don’t follow the path of least resistance to the first law firm that will hire you, follow your bliss and do what you’re passionate about and great at. There is no better advantage and no surer way to success. Do what you love. Do what you believe you can do better than everybody else. There comes a time when you hit a pretty low ceiling in this profession if you cannot generate your own clients. It won’t matter how skilled you are at legal writing, research, argument, depositions, etc. if you’re still applying those skills to your boss’s clients and not your own six or seven years after graduation. Believe in the services you’re asking the world to pay you for and watch how much easier it becomes to attract attention and clients. I’m not a good salesperson. I can’t sell things I don’t believe in. I wish I could. Lord knows I’ve tried. Most lawyers don’t know how to sell the overpriced and inefficient law firm legal services they’re expected to peddle to climb the ranks. Following your bliss solves that problem by giving attorneys the opportunity to sell a service they truly believe in. There’s just no substitute for that, there is no substitute for genuine passion and interest. Perhaps the greatest impediment to following your bliss is that we don’t have to do it. We don’t have to do what we love and are best at. Certainly we can all fake our way through a day or year or lifetime of work we don’t believe in, but we’re never going to reach our potential that way. The best way to distinguish yourself in this profession is by being genuine, by being the best version of yourself that you can possibly be. Law firm clients and colleagues hear honesty so infrequently that it cuts through all the other noise. Do what you’re best at. Offer your greatest value to the world. Follow your bliss, and be amazed at the results. 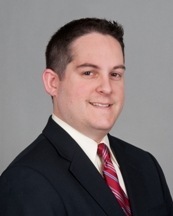 Matthew Litt is the founder of Lincolnesq – Career Counseling for the Bottom 90% of the Class He is presently the chairperson of Capehart Scatchard’s Appellate Practice & Persuasive Writing Department, and has been an adjunct legal writing professor at Seton Hall Law School since 2009. He is also the author of the bestselling nonfiction book, Christmas 1945 – The Greatest Celebration in American History.